There’s been a spike in demand over the years for people who want to buy a property and rent it out, especially first time buyers. Buy to let mortgages allow anyone to do that, even if you’ve a bad credit score and/or don’t have any income. Some lenders will approve a buy to let mortgage based on the property rental income alone. Usually this is worked out by charging rent at 125% of the monthly mortgage payment. High street lenders won’t entertain this and would be looking for new landlords to have an existing income already coming in. This is done as a safeguard to ensure the interest only payments on the mortgage don’t fall behind. Is 2018 a good time to buy? 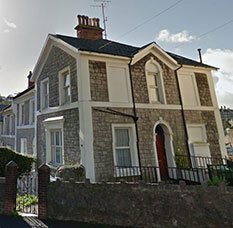 According to Nationwide’s monthly report for May, house prices have now declined for the third consecutive month, indicating the housing market is losing momentum. This therefore could be a great time to buy because when the market does pick up, there’s an increase in the home value, which in turn increases your equity. That can then be used to access further finance for future purchases, or for property upgrades. In terms of the economic forecasts, economists are predicting that house prices will still rise in 2017, just at a more modest rate so don’t expect a sharp increase. However, there is a sting in the tail as you can’t just simply buy a property, approach a property management company, pay a fee and have a tenant moved in. It doesn’t work as simple as that. First thing is that you’re expected to have an asset and that’s usually as a homeowner. You’ll have an existing mortgage with no default payments. The main banks would love that scenario. When you don’t have a mortgage though, that’s a problem and it’s resolved by using a specialist lender who is only interested in financing the property based entirely on its value, and on the rental income you can get for it. Some won’t do a credit score; some will check your financial background and make an offer applicable to how risky they feel you would be to their business interests. The lenders interest is only to be repaid the loan in its entirety and with profit. They dislike repossessions as much as the next person but they do need to know that they’re lending you an amount that can be recovered if need be. What types of buy to let mortgages are there? For first time buyers with bad credit, there are specialist deals available in the subprime market. Some are for residential properties and others are for commercial units. With the tax changes lurking and due to affect existing landlords, many are making the move from residential to commercial units. For commercial buy to let mortgages, lenders may prefer to see that you’ve some experience in property management. Residential properties though, there’s only really one major concern you need to know about and that’s with regards to houses with multiple occupants (HMO). Think student accommodation. If you plan to lease the property out by the room rather than the property in its entirety, many leading lenders won’t entertain the idea. Instead, it’s a commercial lender you’d need to work with as the terms and tenancy agreements will be different and it is a bit more complicated than renting out the property as one as intended. Whilst tenancy agreements are an issue for landlords, and not so much for finance, there can be implications on the type of mortgage product you can get, depending on how you plan to lease the property. HMO being one thing you cannot get wrong because it can have you submitting an application with an unsuitable lender. Since every lender will credit score you, it is going to impact your rating, which in turn hikes the interest rates you’re quoted by future lenders and that’s going to eat into your profits. If you want to lease a family home, it’s a residential buy to let mortgage you’d want to inquire about. For cafes, pubs, shops, food premises, stores, and offices, you need to speak with a commercial lender. Commercial mortgages attract a higher rate of interest, and a higher access fee and a higher deposit than most residential buy to let lenders will require. If you have no existing mortgage and therefore little assets to use as security, it’s unlikely the commercial sector would be an option. The only reason existing landlords are moving more towards commercial leases is they’re more secure, attract responsible tenants and with the help of Companies House, they can get a good feel for their tenants’ financial situation before entering into a tenancy agreement. For residential lettings, property managers consider whether the applicants can afford the rent without compromising living standards. There is still a risk involved as a tenant may not pay which is the obvious risk, but in addition, there’s also the fact that the landlord is the property owner and therefore is legally responsible for all repairs and maintenance. That’s a cost that needs factored into the rents you charge. How much of a deposit might you need? This is another area that’s been rising steadily in recent years. 80% LTV mortgages are available. Some lenders will go higher but if they do, you may need to have a steady income and not be solely reliant on the rental income to pay the mortgage. Bear in mind that if you’re without a tenant, your mortgage will still need to be paid. That’s going to come out of your profits as no lender will want to wait around until you get around to leasing the property. Mortgages are homeowner loans and therefore are a secured form of finance. For your property to be considered a home, and therefore financeable, it needs to be inhabitable. That means it needs to have a working water supply, utilities, washing facilities and a functioning kitchen. If any of those aspects are not working, the property will need some renovation work done to it to bring it up to living standards. That will cost and if you’re approaching a lender with a bad credit history, they will want a larger deposit to extend you finance. The amount you’re offered will be based on the property value so you will find it challenging to get a home loan to renovate a property because it’s going to increase the loan to property value ratio. For a first-time buyer to access a buy to let mortgage on a residential property with a bad credit score, you’d most definitely want a higher deposit. Usually around half the total amount you need. If renovation is what you plan, then commercial lenders would be a more viable financing route you could take. There’s also bridging finance available to those with a poor credit history, however, this is a higher charge and best not relied on as a source for capital investment, but more for cash flow purposes should you take on a renovation project, or find that your rental doesn’t quite go to plan and you need a short burst of cash. An adverse credit history is not going to prevent you from getting on the property ladder. A lack of income will. If that’s what’s happening, there are financing options for first time buyers that can help you get onto the property ladder using a buy to let mortgage. There’s many ways to get onto the property ladder and there’s many more that can be considered a barrier, which in most cases, the situation can be worked around by working with the right lender.